With the advent of cutting-edge technologies such as cloud computing, digitization, social, mobility and analytics, enterprises have been facing unforeseeable impediments in integrating powerful solutions into their businesses and in maximizing the value of their investment. These unprecedented challenges faced by an organization are well mitigated by the pioneer IBM Software Solutions, having wider and deeper capabilities to solve real business requisites. IBM has had a long history of successful transitions right from the mainframe and minicomputer to personal computers and the early days of the Internet to today’s Cloud based computing, Analytics, Internet of things(IoT) and Broad patent portfolio IBM. The organizations’ software solution opens up a plethora of opportunities that help businesses move beyond their hosting infrastructure business to optimize time and cost. IBM’s array of services and solutions include Information Management Services, Lotus Services, WebSphere Services, PLM Software Services (US), Tivoli Services and Rational Services, which invariably underpin Organization’s processes. Keeping in mind how a prudent investment in IBM Software can bolster an organization’s workflow, the editorial board at APACCIO Outlook has picked up a slew of IBM software implementers and critically evaluated their technical and business understanding prowess. Based on that, we have handpicked vendors who understand the client’s processes and are able to align their businesses needs with prudent IBM Software solutions. 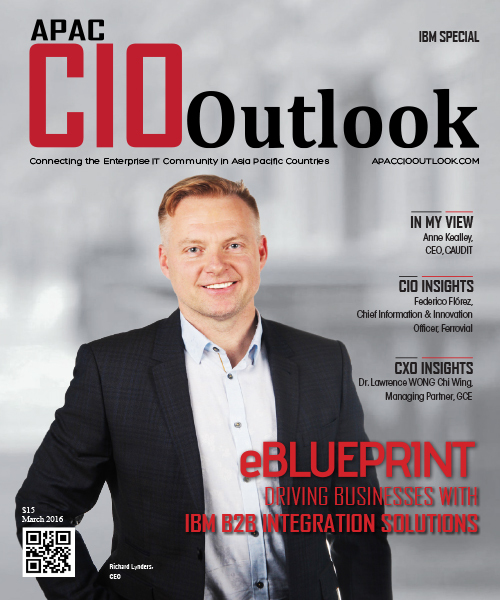 This particular issue of APACCIO Outlook unveils those untold success stories of how organizations were able to deliver phenomenal results year-after- years on joining forces with these seasoned IBM consultants. 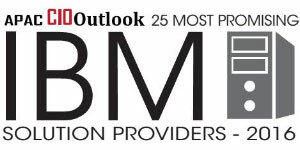 By bringing the industry’s 25 Most Promising IBM Solution Providers, APACCIO Outlook is trying to build a vital link between organizations and the IBM experts. "A global IT itegrator dedicated towrds offering services in SOA solutions and Business Intelligence "
A leading provider of mobile and desktop application development tools, modernization solutions and integration software.